We all know that breakfast is the most important meal of the day, but mornings with kids can be hectic! Freshen up your mornings with new, easy breakfast ideas! 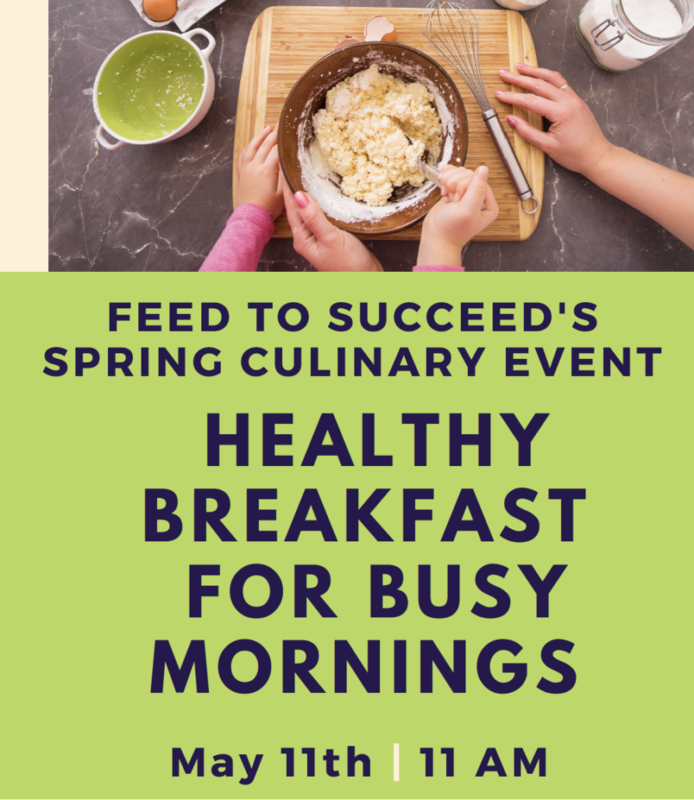 We’ve teamed up with culinary expert and local mom, Lauren Smekhov, to offer parents and children a fun morning of taste testing and chatting. We’ll follow up with a Q&A with the Feed to Succeed team and Lauren. Take home a complete recipe guide and shopping list to enable you to make these delicious soups at home for yourself! Tickets – $20 per person. To register, PM us, email info@feedtosucceed.com or call (847) 724-8015. Cooking demo for parents and children. Try the recipes and receive the cookbook.